The only federal block grant used exclusively to build affordable housing for people with low incomes might be virtually eliminated if the Fiscal Year (FY) 2016 Transportation, Housing and Urban Development (THUD) and Related Agencies funding bill passes. The bill financially guts the 25 year-old HOME Investment Partnerships Program by cutting its funding to just $66 million, a reduction of 93 percent from the previous year. According to the United States Department of Housing and Urban Development (HUD), if the bill passes, the country can expect to lose 38,665 affordable homes, and an estimated 8,813 families would not receive HOME-based rental assistance. We sat down with Jane Graf, President and CEO of Mercy Housing, to discuss HOME’s past, its tenuous future, and what may happen if the bill passes. For people unfamiliar with HOME, could you briefly describe the program and its history? Jane Graf: Absolutely. I had been working in affordable housing for some time when HOME came into existence in 1990. HOME is a federal block grant exclusively and specifically dedicated to providing housing for people with low incomes. Cities, states, and other participating jurisdictions (PJs) can use HOME funding to buy, build, or rehabilitate affordable housing for people with low incomes. HOME has become an essential tool in the financing of affordable housing nationwide. Before HOME all we had were community development block grant funds (CDBG), which were meant to support any number of community activities. They were meant to be a community resource, and so cities would use them for various things, none of them having anything to do with housing. So when the homelessness crisis really started to hit and it became very clear that we had a major housing problem in the U.S., HOME was born. If HOME is eliminated, what happens? JG: The elimination of HOME would be catastrophic. It would be catastrophic for families, seniors, veterans, children, for entire communities. We are in the midst of the worst rental affordability crisis this country has ever seen. Homeownership is at a 20-year low, and rents are skyrocketing nationwide. It is getting harder for an increasing number of people to find decent, affordable homes. People are getting pushed further and further away from their jobs, their healthcare providers, and grocery stores, because they can’t afford to live where they’ve built their lives. We’ve got a perfect storm here: no resources to expand affordable housing, an ever increasing need for multifamily housing, and a credit crunch that is inhibiting people from entering the homeownership market. The list goes on. To put it succinctly: the elimination of HOME is the last thing we need. If this bill passes, we will start seeing more people in the street with no resources and no place to go. How will elimination of HOME impact different parts of the country? JG: It’s hard to say exactly how the elimination of HOME will impact different parts of the country, but one thing’s for sure: certain states, mostly in the middle of the country, are going to be disproportionately affected. Coastal states like California, New York, and Massachusetts, to name a few, have been dealing with a lack of affordable housing for a long time, and have had to find resources other than HOME to address the problem. Then you’ve got places like northwest Arkansas, the home of Walmart, which has recently experienced very rapid and unprecedented growth, and where the disparity between the haves and the have nots is increasing at a dizzying pace. In these areas, it’s very quickly becoming difficult, if not impossible, to find affordable housing. In Arkansas and other states, HOME has been the main resource for affordable housing. That resource has been cut in recent years, resulting in dwindling housing. If HOME is eliminated, Arkansas and other states will have nothing for gap financing. I don’t know what they are going to do. To further illustrate the potential plight these growing areas face: San Francisco’s robust mass transit system is creaking under the burden of thousands of people commuting to and from a city in which they work but can’t afford to live. What happens to places where there is no mass transit available? Senator Susan Collins (R-ME), a Chairwoman on the THUD Subcommittee, said that HOME affordable housing activities can be accomplished through CDBG. Do you agree? JG: No. I strongly disagree with Senator Collins’ assumption, for a couple of reasons. Historically, CDBG hasn’t been used for housing. If CDBG hasn’t filled the need historically, what makes anyone think they are going to start filling the need now? Also, the CDBG is being spread too thin: when adjusted for inflation, the FY 2016 request is about one fifth what it was in 1975, when the program served about half the number of grantees it is predicted to serve in 2016. Could the newly financed National Housing Trust Fund help fill the funding void if HOME is eliminated? JG: The National Housing Trust Fund is targeted to people who make 30 percent or less than the area median income (AMI), while HOME provides funding for households who make up to 60 percent of AMI. At 60 percent, you really can’t make it in many rental markets. You’re scrambling, and you’re either in bad housing, overcrowded housing, or housing that’s miles away from where you work, go to your doctor, or buy groceries. If you’re surviving, you’re barely surviving. You can reach out to your member of Congress and let him or her know that affordable housing matters to you, and that every state needs HOME funding to address the affordable housing crisis. You can join a housing advocacy organization. You can also effect change by getting to know your community, your entire community, better. You can volunteer. You can educate yourself about the housing issues affecting the country. It’s easy for some people to ignore our country’s need for affordable housing because they think it doesn’t affect them. And they might be right. It might not affect them. But it will affect their children, and it will affect their grandchildren. Jane Graf is President and CEO of Mercy Housing, Inc., a national affordable housing nonprofit that provides safe, affordable housing to thousands of low- to moderate-income individuals, families, veterans, seniors, and people with special needs. 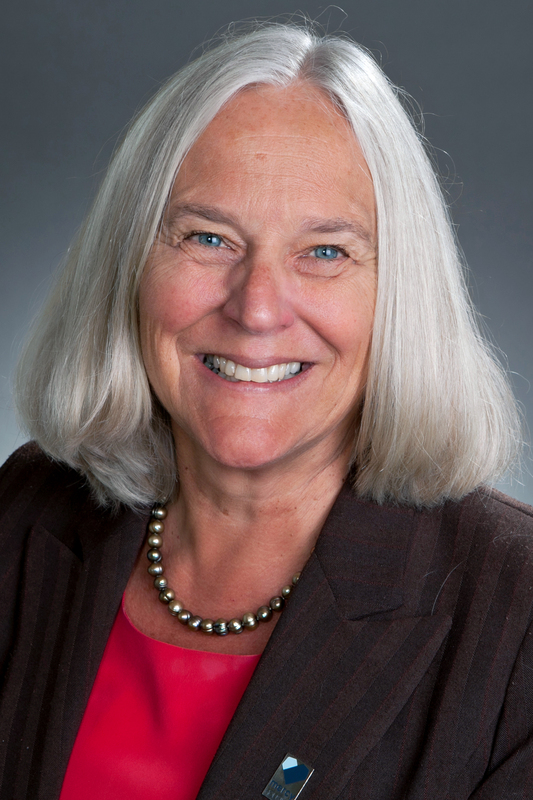 With more than 35 years of affordable housing development experience, Graf serves on several affordable housing boards, including the Housing Partnership Network, Stewards of Affordable Housing for the Future, and the National Affordable Housing Trust.